24 words that tell a favourite Bible story. Simple words and repetition help your child develop sight vocabulary and take pride in a growing ability to read and learn the Bible. 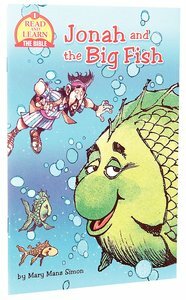 About "Jonah and the Big Fish (Read And Learn The Bible Level 1 Series)"
Read and learn Bible stories. Full color, leveled reader.